Capitaland Mall Trust has just held their Annual General Meeting (AGM) on 11th April 2019. Capitaland Mall Trust currently makes up 11% of my stock portfolio. Basically, they are covering an overview of 2018. FY18 financial highlights from the Annual General Meeting (AGM) includes the increase of distributable income to S$410.7 million, increase of distribution per unit to 11.50 cents and increase of Net Asset Value (NAV) to S$2.02. Occupancy stood at 99.2% which you can find from their presentation slides below. 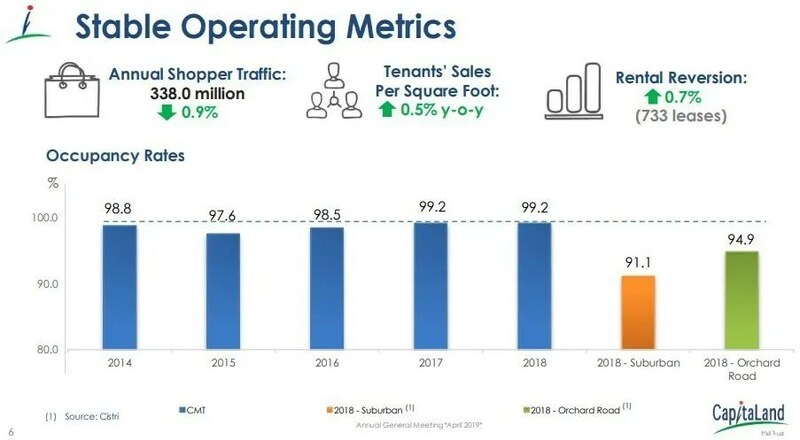 Annual Shopper Traffic has declined slightly by 0.9% which is not too worrying and based on this figure, we can see how strong malls under Capitaland Mall is able to continue to attract shoppers despite the threat of the growing trend towards online shopping. 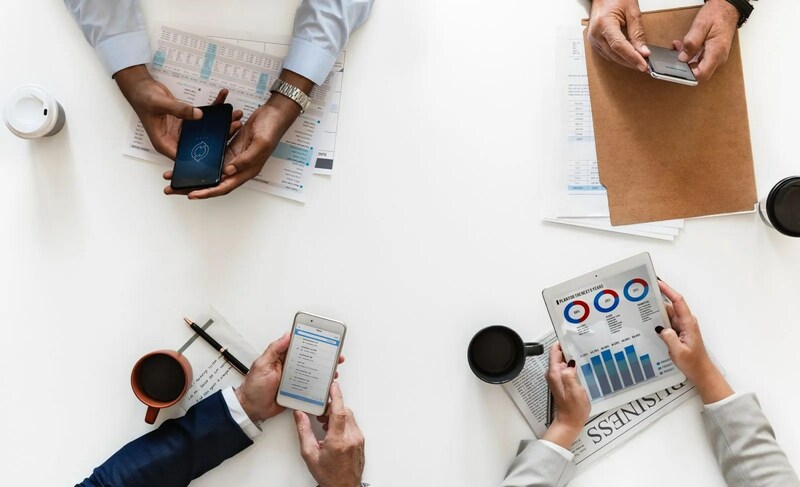 It is note worthy to mention how CapitaMalls attract shoppers via their shoppers reward program such as earning CapitaStars for spending at its malls where shoppers can use their rewards points to redeem CapitaMall vouchers. 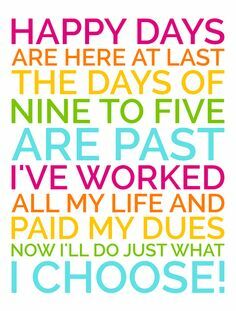 This has kept shoppers returning to their malls to spend. The gearing ratio currently stood at 34.2% with 89.8% of the assets unencumbered. 13 properties are wholly owned, directly and indirectly under Capitaland Mall Trust with the exception of Westgate. You can find more details on the acquistion of Westgate here. 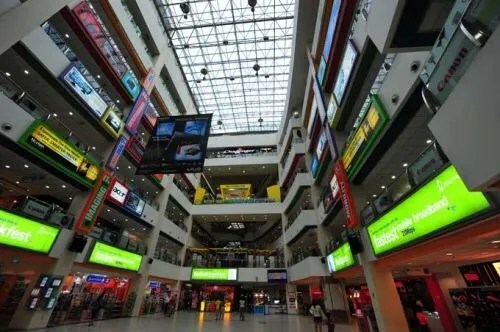 I have mentioned that the re-opening of Funan that can be a possible catalyst of CapitaMall Trust. The redeveloped Funan (Six storey retail mall, two office towers and one block of serviced residence) is targeted to re-open in mid 2019. Including leases under active negotiations, leasing has reached more than 80%. The same question comes into our mind. 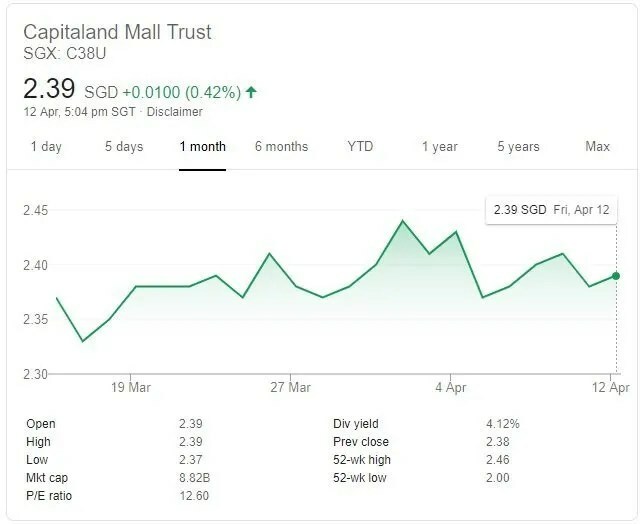 Should you buy Capitaland Mall Trust now? Based on the distribution per unit of 11.5 cents and current price of S$2.39, this translates to a dividend yield of 4.81%. I will give it a miss if I am not yet vested as I am targeting for a dividend of above 5% for REITs. The REIT is also current trading above its Net Asset Value (NAV) of S$2.02. The current price is 18.3% above premium to its NAV.